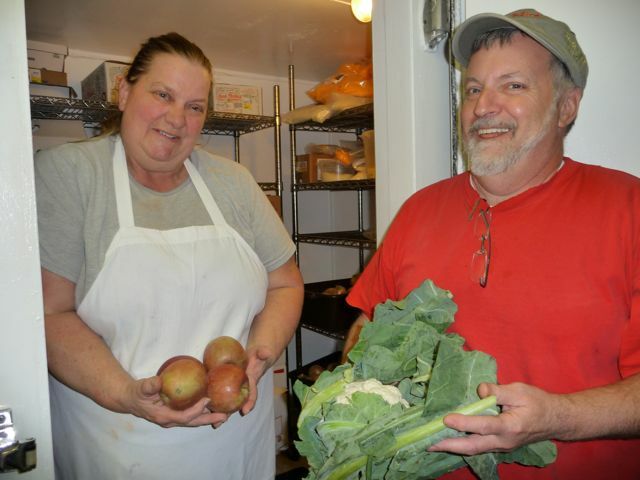 Loving fresh food at Glen Lake and Leelanau School from the Glen Arbor Sun looks at how 2 Leelanau County schools are putting “fresh” on the menu. Gene Peyerk, food service director at Glen Lake, explains that lunches “home” made in the school’s kitchen contain lower amounts of fat, cholesterol and sodium and higher grams of fiber. Even the kitchen’s corn dog, served with sweet potato fries, is healthier — with a turkey dog on the inside and whole grain outside. The transition brought with it a bit of a learning curve. Read on for more and – because it’s awesome – here’s what Jamie Oliver’s Food Revolution has to say about school food. Jamie visited “the fattest city in America” and it was a compelling exploration of how we learn to eat and how we can learn to do it better. If you really want to see something shocking, check out Jamie’s chicken nugget experiment.